An introduction to statistical mechanics which aims to relate microscopic properties of matter to observed macroscopic, or bulk, behaviour of physical systems. 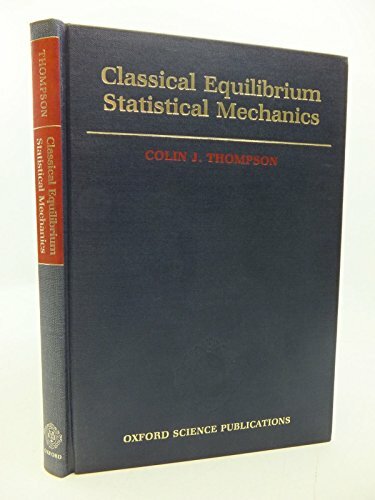 The foundations of statistical mechanics, laid down by Gibbs, are presented, with an introductory chapter on thermodynamics. Other topics covered include: model systems and the thermodynamic limit, theories of phase transitions, fluctuations and correlations, exactly solved models, scaling theory and the renormalization group. The book also includes many problems and worked solutions which, in certain areas, approach the threshold of current research activity in the subject. No prior knowledge of the subject is assumed. The only prerequisites are advanced calculus, an elementary knowledge of probability theory, linear algebra and classical mechanics.